1. When RONALDO scores he points at himself. When MESSI scores he points up. 2. RONALDO will do 5 skills to beat 1 player. MESSI will do 1 trick to beat 5 players. 3. RONALDO is compared to Messi.. While MESSI is compared to Pele and Maradona. 4. RONALDO shoots where MESSI would have passed to better positioned player. 5. RONALDO is hungry for individual success, MESSI plays for the success of the team as a whole. 6. Girls like RONALDO for his Good Looks, they like MESSI for his Good Game. 7. RONALDO scores goals, MESSI Breaks World Records. 8. RONALDO plays because he loves fame, MESSI plays because he loves the game. 9. RONALDO will make your DAY! MESSI will make your HISTORY! 10. 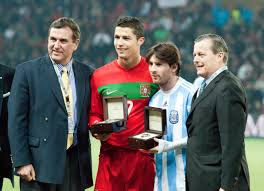 RONALDO is the best player in the world, . . . because MESSI is from another planet..
Sign up with your email to get updates about "10 Differences Between MESSI and CRISTIANO RONALDO", and other awesome articles. 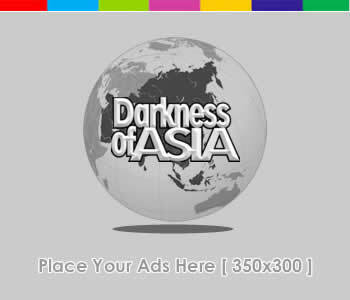 You can read another awesome articles with the same topic about in Darkness of Asia.